UFO SIGHTINGS DAILY: Dark Orb Over Marshal, North Carolina On Jan 1, 2018, UFO Sighting News. 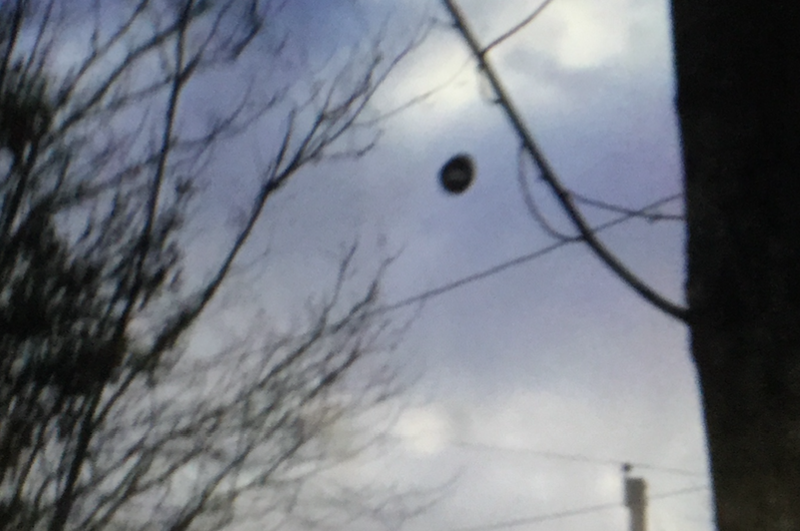 Dark Orb Over Marshal, North Carolina On Jan 1, 2018, UFO Sighting News. Something I like about this is that the UFO is near a power line, as if its either sucking energy or sucking data from our information grid. I doubt that electricity is needed that much, but information would be very important to an advanced alien race. Many past UFO reports have reported UFOs near power lines. I was hanging out in my room bored, and looked out of my window for a short while and noticed out of the corner of my eye a black/dark grey orb hovering above the field next to my house. I walked around my room with my hands on my head thinking about what's going on and thinking what I should do next. I got a sudden very tingly feeling all throughout my body(mainly in my head) and ran to my window to see if it were still there. Unfortunately, it was not. But the tingly feeling inside of my body felt like it/they were trying to say goodbye. I was not harmed in any way shape or form. But I did actually feel very happy as if I were having an adrenaline rush for about 10 minutes after the incident.